We invite you to join us for the ultimate pampered experience, combining our passion for hairdressing, in a welcoming and relaxing environment. Our salon provides a high quality service, by continually training and keeping up to date with new styles and colour techniques. 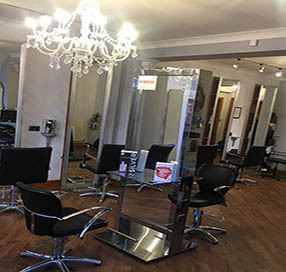 The stylists in our salon all have their own bespoke businesses, under the umbrella of Joanne Clark Hairdressing. All are stylists aim to create a style you'll love that is individual to you, also giving advice to help you manage your style at home. We trust you will leave the salon feeling refreshed and revitalised. At Joanne Clark Hairdressing we aim to exceed the expectations of our clients.